Part of the Neurosurgery by Example series, this volume on pediatric neurosurgery presents exemplary cases in which renowned authors guide readers through the assessment and planning, decision making, surgical procedure, after care, and complication management of common and uncommon disorders. The cases provided are exemplary of more relevance to and higher general frequency in pediatrics, as well as of presentation and management that is notably distinct in pediatric compared to adult neurosurgery. Pediatric Neurosurgery is appropriate for neurosurgeons who wish to learn more about a subspecialty, and those preparing for the American Board of Neurological Surgery oral examination. 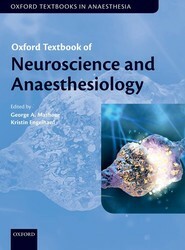 The Oxford Textbook in Neuroscience and Anaesthesiology addresses all aspects of neuroanaesthesiology. Edited by an international team of experts this textbook reflects world-wide practice. 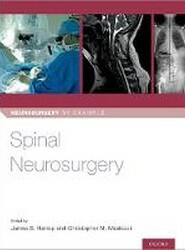 Part of the Neurosurgery by Example series, this volume on spinal neurosurgery presents exemplary cases in which renowned authors guide readers through the assessment and planning, decision making, surgical procedure, after care, and complication management of common and uncommon disorders. The cases explore the spectrum of clinical diversity and complexity within spinal neurosurgery, including occipital cervical dislocation, cervical myelopathy, thoracic cord compression, lumbar stenosis, and more. Containing a focused review of medical evidence and expected outcomes, Spinal Neurosurgery is appropriate for neurosurgeons who wish to learn more about a subspecialty, and those preparing for the American Board of Neurological Surgery oral examination. 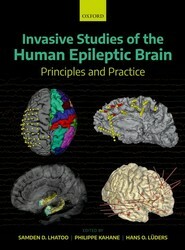 Invasive Studies of the Human Epileptic Brain is the definitive reference text on the use of invasive electroencephalographic (EEG) diagnostic studies in human epilepsy. 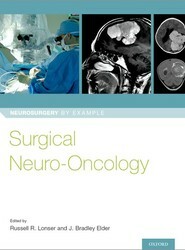 Part of the Neurosurgery by Example series, this volume on surgical neuro-oncology presents exemplary cases in which renowned authors guide readers through the assessment and planning, decision making, surgical procedure, after care, and complication management of common and uncommon disorders. The cases explore a number of different types of nervous systems tumors, including glioblastoma, medulloblastoma, skull tumors, and more. Surgical Neuro-Oncology is appropriate for neurosurgeons who wish to learn more about a subspecialty, and those preparing for the American Board of Neurological Surgery oral examination. 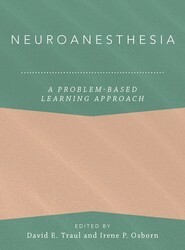 Neuroanesthesia: A Problem-Based Learning Approach provides an up-to-date and comprehensive review of the neuroanesthesia subspecialty. Its problem-based format incorporates a pool of practical, multiple-choice questions for self-assessment. Each of its 29 case-based chapters is accompanied by 10 questions and answers, accessible online in a full practice exam. This book is equally a solid reference compendium of neuroanesthesia topics and a comprehensive review to assist the general practitioner both in day-to-day practice and during preparation for certification exams. Its problem-based format makes it an ideal resource for the lifelong learner and the modern realities of education. 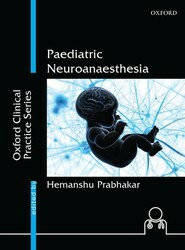 This is a comprehensive reference book on paediatric neuroanaesthesia. 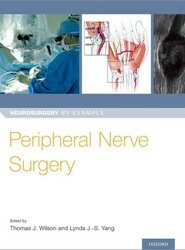 It covers the basic sciences as well as special case scenarios. It is well-supported by multimedia video tutorials and has global authorship.